Star Trek: Discovery debuted on CBS on September 24, 2017. 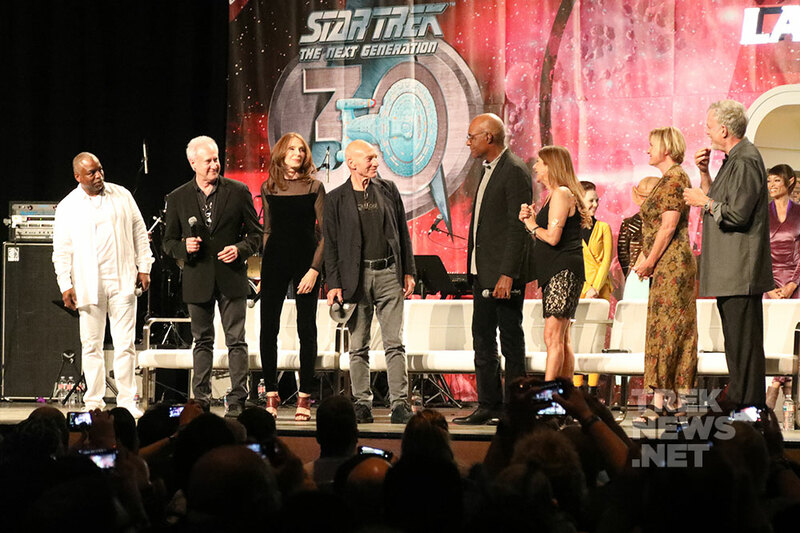 This new chapter in the venerable sci-fi saga premiered four days before the 30th anniversary of one of the most important American television shows in broadcast history – Star Trek: The Next Generation. The Gene Roddenberry television show warped his “Wagon Train to the Stars” to loyal fans and brought a new crew and new starship to a whole new audience. It’s hard to appreciate now with streaming video on demand part of daily life, but back in the 1980’s, aside from broadcast and cable, syndicated television was for shows not quite considered mainstream. Today, Netflix, Hulu, HBO, and Amazon – among many platforms – produce original content. You would never see Game of Thrones or Orange Is The New Black in syndication back in the day. Game shows, low-budget fiction and news magazines made up most the choices. Breaking out of the mundane pack drowning in the everyday, came the exploits of a Starfleet crew on a newly minted Galaxy class vessel – a Federation Starship, U.S.S. Enterprise 1701-D.
Star Trek: The Next Generation not only made believers out of skeptics who doubted Star Trek could rise again as a TV show, it forever changed how an industry and public looked at syndicated TV. The 1987 launched show, one of the first times a major studio offering debuted in syndicated television, literally reshaped the TV landscape. Up until then, big-budget series were saved for network premieres. Syndicated TV was a dumping ground for game shows, talk shows, low-budget fare or reruns. Paramount took a big chance on putting Next Generation into syndication, and not only did it pay off for the show itself but re-launched Star Trek onto TV screens again encouraging other producers to do the same. Syndicated TV became respectable, a welcoming home for far more cutting-edge programming. What followed were several unprecedented entertainment milestones. 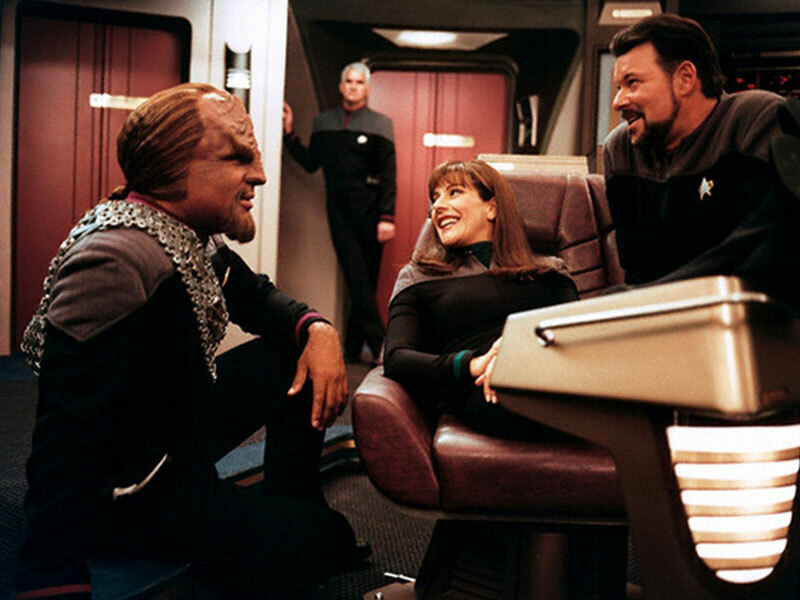 The Next Generation spawned the syndicated Deep Space Nine, which in turn birthed the UPN flagship TV series Star Trek: Voyager, and finally, a prequel show – Enterprise. 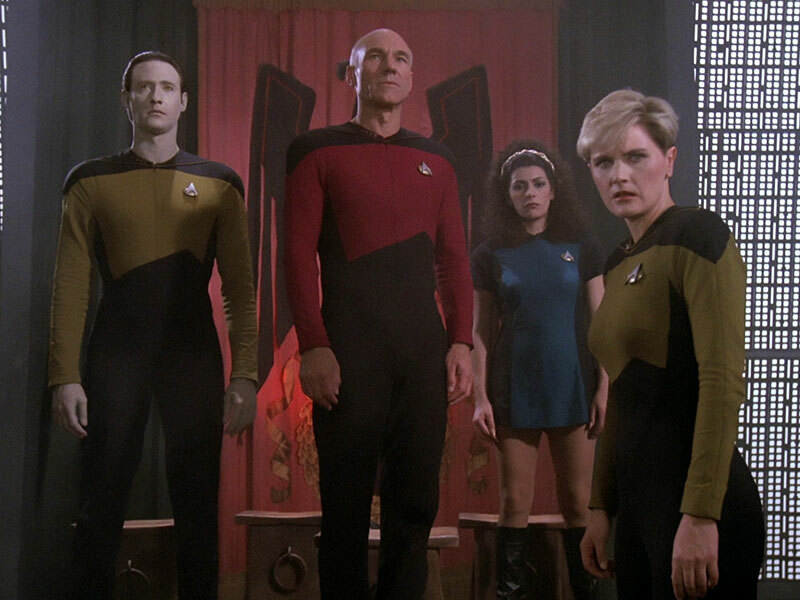 Four motion pictures were produced directly with Next Gen characters, while a few other series characters got cameos in TNG’s irresistible universe. All of this extreme exposure and success may have fogged over Next Generation’s indispensable achievement. 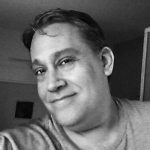 Simply put: If TNG’s syndicated gamble had failed, it’s possible Star Trek itself may have faded away as a nostalgic memory. 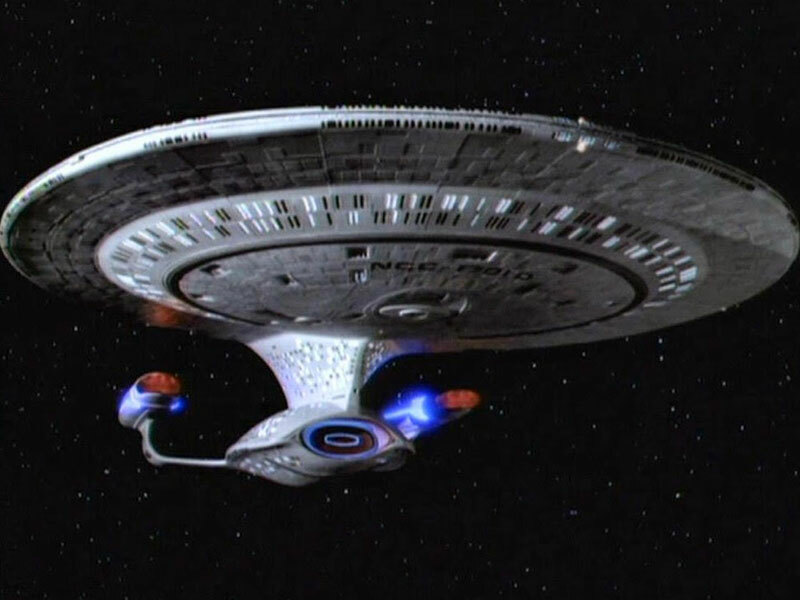 TNG owes a debt to the 1966 original, however, it’s evolved into its own unique entity – grabbing the generational torch passed on by Jim Kirk’s crew and vigorously kept an iconic flame burning brightly. Captain Kirk’s crew are syndicated trekking pioneers – they blazed a trail in the syndicated market, followed by first run adventures of sequel series – The Next Generation. It was here Paramount first realized Trek might have been more profitable than they’d realized with the important demographic group of 18-49 males. From then onward, they tried to figure out how to capitalize on Trek’s future. 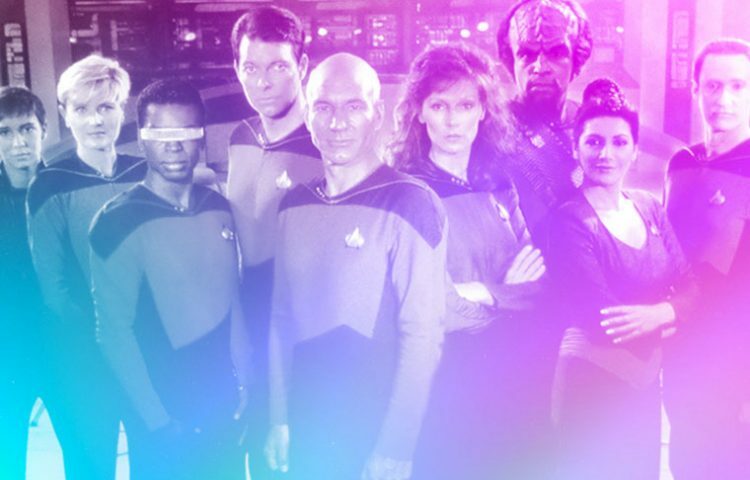 Star Trek: The Next Generation may have been the first sequel series to actually launch, but it wasn’t the first one planned, or even put into pre-production. Long before the FOX network became a reality for studio 20th Century Fox, Paramount Pictures planned their own network. Star Trek: Phase II was to have been the flagship show – it wouldn’t be until 1995, with the launch of UPN and Star Trek: Voyager that such a dream would finally be realized. Voyager debuted to good ratings, but never fully captured the viewership TNG enjoyed, nor the critical acclaim. In Next Generation‘s final season, it snagged an Emmy nomination for Best Drama Series – the only time a syndicated series was ever nominated in that category. Phase II would have brought back the original series cast except for Leonard Nimoy, who chose not to participate. Nimoy chose wisely. When Star Wars was released to an astonished public and became a mega-hit for the rival studio, Fox, Paramount altered plans and transformed Phase II into Star Trek: The Motion Picture. They’d hire acclaimed film director Robert Wise (West Side Story) to helm the historically ambitious project. For its time, the 40 million dollar budget would be the highest in film history up to then, and though many fans and critics alike felt the movie lacked the fun camaraderie and joyous spirit of the TV show, TMP still turned a tidy profit. William Shatner, Leonard Nimoy, Deforest Kelley, George Takei, Nichelle Nichols, Walter Koenig and James Doohan, who made up the original series cast, were still succeeding in films, but their well earned salaries increased accordingly. Also, that fabled and infamous predator known as time worked incessantly, as the many geriatric jokes and parodies would brutally document; Trek’s original cast was aging. New blood was needed. It seemed easy enough: create another trek among the stars. Launch another fictional starship and capture global fanfare. Paramount called on Gene Roddenberry to bring forth a new TV generation. Surprisingly, he declined – at first. When Roddenberry finally agreed to create TNG, he called on Trek vets such as Robert Justman, David Gerrold and D.C. Fontana to assist him in the endeavor. They were there back in 1966 when stellar magic was first conjured and sought to help cast a new spell a second time. Roddenberry felt setting the timeline many times the actual date from the old show would give writers new breathing room to create not only new characters, but tech, alien races and sleek new starships. The show was finally finished and debuted to a somewhat skeptical, although curious public. Captain Jean-Luc Picard, played by Patrick Stewart assumed command of his enormous Galaxy Class starship and helmed it for seven seasons. Here was a little known actor – a bald Brit no less – taking on the Captaincy of arguably the most famous spaceship in all of science fiction. Let’s see what’s out there, indeed…. 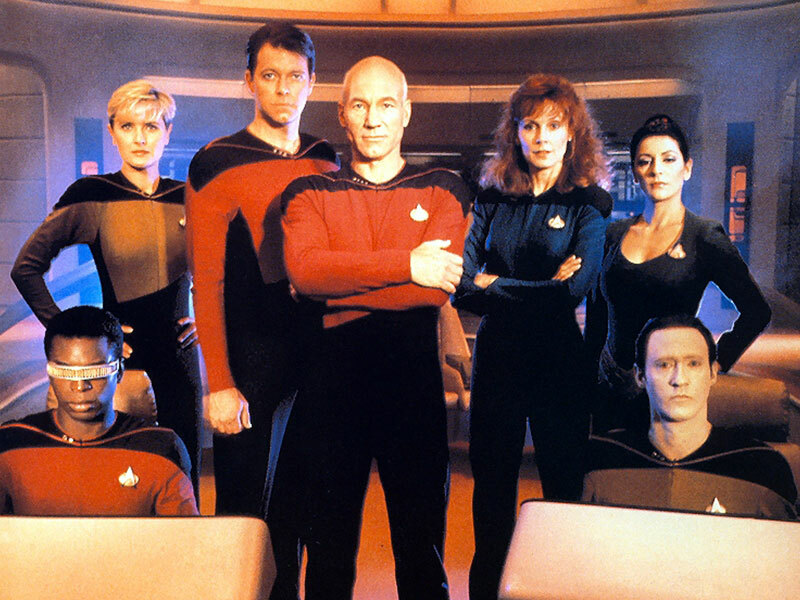 Before long, TNG hit its winning stride. It became the most successful first run show in syndicated history up to that time. This proved to Paramount – and other studios – bypassing major networks to distribute programs wasn’t only doable, but profitable. Shows such as Earth: Final Conflict – another Roddenberry vehicle – War of The Worlds, Hercules: Legendary Journeys, Xena: Warrior Princess and many others would be met with success and great popularity. Denise Crosby may never admit it, but she may not have had strong faith in TNG’s inevitable success, asking not to be renewed after finishing one season. With Gates McFadden, a “character dynamic” change was ordered, so it was out with the dancing doctor and in with the more serious, even somber doctor – Katherine Pulaski played by Gene Roddenberry’s friend Diana Muldaur. Pulaski ended up lasting only a season, with Gates McFadden being invited back, cementing our crew as loyal fans know it. 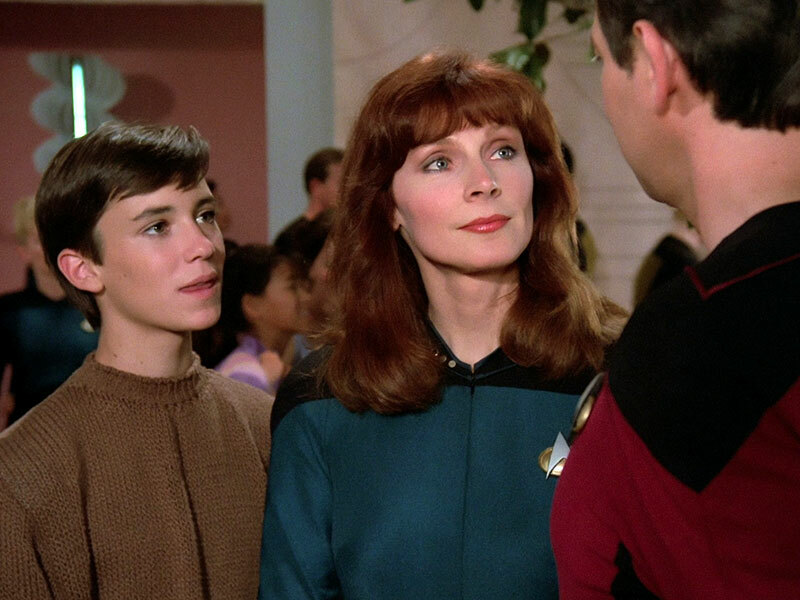 Maybe there’s something up with the Crusher family, because like his medical mom, Wesley (Wil Wheaton) wouldn’t stick around for the full seven years either. After engaging in a conflict with producers over wanting to do a feature film for famed director Milos Forman, Wheaton decides to depart Captain Picard’s luxurious Enterprise in the fourth season. He would return for guest spots in various episodes and be warmly greeted back into the family fold in a brief scene at Riker and Troi’s wedding, featured in TNG’s last film, Star Trek: Nemesis. Star Trek: Generations baptized the TNG crew into movies and Nemesis evidently has retired them from film forever. We saw Malcolm McDowell‘s Soran kill William Shatner’s Kirk. We saw the ascendance of a now A-list actor, when Tom Hardy (Mad Max: Fury Road) played Picard’s clone in Star Trek: Nemesis. Between the first and the last, we had a Borg bash and a cosmic quest for the Fountain of Youth. Jonathan Frakes directed his first feature film with Star Trek: First Contact, and it is generally considered the best of TNG’s movie bunch. Is this all we’re going to get from the Next Gen crew in films? Is it really the final act for the actors portraying the characters they originated? What about a reboot? Who’d you want to see assume the sizable pop culture mantle of Picard or Riker? Are video games, comic books and novels the only place we’ll ever see further Next Generation adventures? Is Riker’s command of the Titan a suitable place to consider for another TV Trek? Is there room for another show alongside Discovery? Fans are Star Trek‘s lifeblood. The letter writing campaign which gave TOS another season is a perfect example of fan motivation and power. When fans talk about the show, there’s a warm consensus over those characters whom they’re passionate about – whom they love. Many are still incredibly excited over Kirk & Spock. They want to talk Picard’s philosophy and Data’s eternal search for his elusive humanity. They want to know about Riker’s marriage to Troi and just how well or badly Klingon Worf is behaving these days. 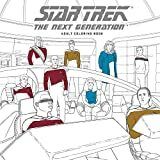 As we go into the future and celebrate 30 glorious years of Star Trek: The Next Generation and Captain Jean-Luc Picard’s Enterprise D, we wonder… What will Star Trek: The Next Generation do NEXT?